Lung cancer is the abnormal growth of cells in the lungs. Lungs perform the vital function of life- breathing and supporting oxygen transport in the body. Lung cancer cells interfere in this function of the lungs. Primary lung cancer is when cancer starts in the lung cells and tissue while Secondary lung cancer is when cancer occurs in another part of the body and spreads to the lungs. Non small cell lung cancer is the most common type and it has subtypes depending on the cell affected. Small cell lung cancer accounts for 10-15% of lung cancers and spreads quickly. Lung carcinoid tumors are rare occurrences. Surgery, chemotherapy, radiation therapy and immunotherapy alone or in combination are the treatment options for lung cancer. Lung cancer is the leading cause of death in the United States and worldwide. A report of US Public Health Service states that average male smoker had an approximately 9-fold to 10-fold risk for lung cancer, whereas heavy smokers had at least a 20-fold risk. Never smokers account for 25% of the lung cancer cases reported worldwide. 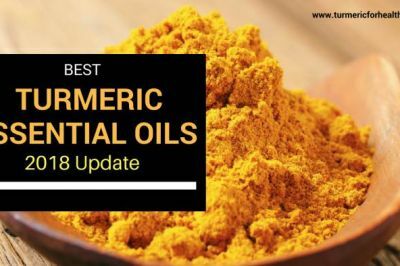 Over 300 research studies have investigated the effectiveness of turmeric and curcumin in lung cancer. Researchers suggest that in addition to its anti-cancer activity, curcumin is also no toxic which makes it a viable and effective adjunct to conventional cancer therapy. Over 300 research studies have proven the anti-cancer activity of curcumin in lung cancer. Curcumin acts in multiple ways to inhibit growth and spread of lung cancer. Since it is void of toxicity, curcumin can serve as a viable adjunctive therapy in lung cancer. As an antioxidant, curcumin protects normal lung cells from oxidative stress and also aids in terminating lung cancer cells. Yao et. al have proven that curcumin causes apoptosis or cell death in lung adenocarcinoma cells and this was accompanied by changes in oxidative stress levels (balance between prooxidant and antioxidant agents). Another study also proves that curcuminoid prevents the proliferation of lung adenocarcinoma cells by inducing formation of reactive oxygen species and damaging cancer cells. Curcumin derivatives are also found to sensitize lung cancer cells to chemotherapy due to their antioxidant property and reduces drug resistance. As an antioxidant curcumin helps destroy lung cancer cells and also reverses drug resistance. Genotoxic agents or mutagens are those that cause changes in DNA and damage it leading to cancer development. Dietary curcumin reverses the mutagenic potential of Benzo[a]pyrene, (cancer-causing agent). Similarly, curcumin and resveratrol combination is also found to protect from the carcinogenic activity of Benzo[a]pyrene. Zhang et. al have identified that curcumin by virtue of its antioxidant action can help prevent and curb genotoxicity caused by formaldehyde in lung cancer. Curcumin prevents genotoxicity (agents that cause DNA damage that may lead to cancer) in lung cancer. Benzo[a]pyrene is a procarcinogen which is converted into a cancer-causing agent B[a]PDE in the body. It presents in the environment as well as cigarette smoke. A study published in Biofactors, 2015 demonstrated that dietary curcumin can prevent lung cancer caused by Benzo[a]pyrene and prevents its mutagenic action (ability to cause mutations that cause cancer). Researchers at Rajiv Gandhi Centre for Biotechnology have found that curcumin can prevent the formation of lung cancer caused by nicotine. Nicotine enhances survival signals of lung cancer and curcumin was found to inhibit such activation. Shisodia et. al have also found that curcumin inhibits activation of nuclear factor kappa B by cigarette smoke in non small cell lung cancer. Nuclear factor kappa B is an important protein complex that controls various aspects like inflammation and cell cycle. Curcumin and turmeric protects lung from cancer causing agents like nicotine. Certain cancer cells mimic the properties of normal stem cells and hence promote self-renewal and growth of certain cancers. This confers drug resistance to cancerous growth. A study by Wu et. al reveals that curcumin inhibits proliferation of lung cancer cells and suppresses the stem cell-like properties and tumor formation in lung cancer cells. A recent study published in Anticancer Agents in Medicinal Chemistry, 2016 demonstrated that curcumin significantly impacts self-renewal capacity of lung cancer stem cells. It damages DNA in cancerous cells and prevents it from being repaired in order to prevent metastasis and progression of cancer. A study published in Oncology Reports, 2016 demonstrated that curcumin enhances the efficacy of cisplastin, chemotherapeutic drug in targeting lung cancer stem cells. Unlike conventional anti-cancer agents, curcumin targets self renewing lung cancer stem cells. Curcumin functions as an anti-metastatic agent: it prevents the spread of cancer to other parts of the body. Various studies have found that curcumin acts on various biochemical pathways and molecules in order to prevent metastasis in lung cancer. Aggarwal et. al has proven that curcumin can prevent lung metastasis from breast cancer. Curcumin also sensitizes the efficacy of chemotherapeutic agents in inhibiting metastasis. Curcumin prevents metastasis or spread of lung cancer. It also prevents secondary lung cancer and enhances the activity of chemotherapeutic agents in preventing metastasis. Curcumin works as chemosensitizer- it reduces drug resistance and increases the sensitivity of cancer cells to chemotherapeutic drugs. A study published in the International Journal of Nanomedicine,2016 reveals that curcumin reverse doxorubicin drug resistance in Lewis lung cancer tumor. Kim et. al have proven that curcumin exerts anti-proliferative (inhibits spread and growth) in both drug resistant and non-drug resistant in non-small cell lung cancer cells. Curcumin is also found to reverse drug resistance to other chemotherapeutic agents like cisplastin and erlotinib. A study published in Cancer Biology & Therapy, 2008 shows that curcumin alone or in combination with other agents can overcome Multidrug resistance in non-small cell lung carcinoma. Curcumin sensitizes cancer cells to chemotherapeutic agent and reverses drug resistance thereby increasing therapeutic efficacy. As a chemopreventive agent, curcumin helps in preventing lung cancer in the first place. Curcumin is found to protect lung cells from the cancer-causing effect of various toxins like nicotine, benzo[a]pyrene etc. Curcumin also protects airway cells from damaging effects of particulate matter that cause air pollution. It also protects in case of various lung diseases. Research proves that curcumin can prevent COPD from progressing into cancer and this can be beneficial in high-risk COPD patients. Curcumin’s anti-carcinogenic, anti-inflammatory and antioxidant properties can help in preventing lung cancer. Curcumin exerts anti-tumor action in Lewis lung cancer by regulating the activity of certain immune cells whose inhibition prevents tumor growth and controls lung cancer. Luo et.al have proven that low dose curcumin enhances anti-tumor immunity in lung tumor. Research proves that curcumin inhibits lung tumor formation by preventing blood vessel formation. Curcumin also reduces inflammation to curb lung tumor growth as evidenced by a study published in Molecular Oncology, 2012. 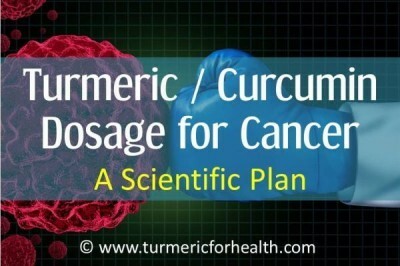 Curcumin benefits as an anti-tumor agent in conditions like Lewis lung carcinoma. Dr. Goel and Dr. Aggarwal have identified curcumin as a chemoprotector and radioprotector- it protects from side effects of cancer treatment. Curcumin and turmeric protect various organs from drug-induced toxicity including chemotherapeutic drugs. It also protects from toxicity of radiotherapy. Curcumin differentiates between normal cells and cancer cells; it protects normal cells while causing cell death in cancerous cells. A study in humans demonstrated that Meriva, a specialised formulation of curcumin, attenuates the physical symptoms or side effects faced in conventional cancer treatment. Curcumin protects from the toxic effects of chemotherapy and radiotherapy and can also benefit as an adjuvant therapy in lung cancer. Can curcumin worsen lung cancer? There are a few studies that report contradictory results in terms of curcumin and its effect in lung cancer. A study conducted by Wake Forest University School of Medicine, reports that curcumin promotes lung promotion. In this animal study, curcumin was compared to a lung tumor promoter and lung cancer chemopreventive agent. It was found that dietary curcumin promoted the progression of lung cancer lesions from benign state to aggressive cancer. Further, it was also observed that curcumin caused oxidative damage. 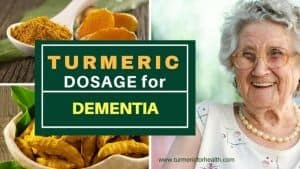 The researchers commented that this is attributed to the prooxidant effect of curcumin and further studies should be conducted to understand the effect of curcumin in early stages. They also stated with respect to clinical trials conducted to assess curcumin’s chemopreventive potential in colon cancer, it may be necessary to exclude those who have a history of smoking. A study published in the International Journal of Cancer Research, 2013 demonstrated that curcumin does not prevent metastasis but promotes it by causing the development of blood vessel formation and inflammation. Another study published in the Journal of Cancer, 2012 reveals that certain Lewis lung cancer cells can survive curcumin treatment at high doses. These cells are found to be less sensitive to curcumin and the minimal dose required to kill original Lewis cancer cells increases by 50% in order to terminate these surviving cells. Also, it was observed the tumor formation potential of these surviving cells was less and the aggressive nature of these cancer cells was reduced as evidenced by the reduction in tumor marker expression. 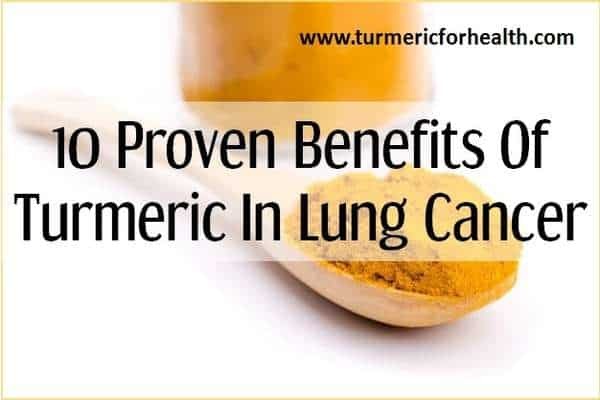 A few research studies do contradict curcumin’s anti-cancer action in lung cancer and demonstrate that it can promote lung tumor formation and enhance metastasis. Distinct mechanisms for this action have not been identified. It could be a dose dependant effect; perhaps high doses of curcumin creates pro-inflammatory and pro-oxidant conditions which may have toxic effects. But study in humans shows that curcumin even at high doses up to 12 g is safe and well tolerated. Also turmeric is consumed regularly in diet in Asian countries. More research is required for clarity on these contradictory studies. 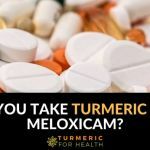 Here are a few questions commonly asked in relation to the therapeutic efficacy of turmeric and curcumin in lung cancer. 1. 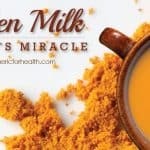 Does turmeric heal lung cancer? Turmeric and curcumin are natural anti-cancer agents and are proven to destroy lung cancer cells. Based on the studies to date, curcumin can benefit as adjunctive therapy in lung cancer. 2. 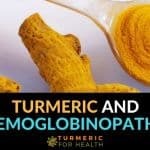 What dose of turmeric should I take for cancer? This depends on the form of turmeric you take. We recommend taking Golden Paste and the details have been highlighted in the Dosage section below. 3. Should I take whole turmeric or curcumin for cancer? We recommend taking a combination of curcumin supplements as well as turmeric in the diet for cancer therapy. Further details have been highlighted in the dosage section. 4. 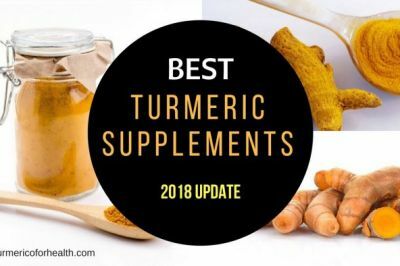 Is it safe to take turmeric/Golden Paste with turmeric supplements in cancer? 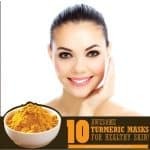 Yes it is safe to take Golden Paste or turmeric in diet when taking supplements; however it is advisable to limit to low doses say 1-2 teaspoon in a day to avoid gastric discomfort. 5. Can I take turmeric with chemotherapeutic drugs? Turmeric in diet is safe. If taking turmeric supplements when on chemotherapy it is best to consult your health practitioner about this. 6. Can I turmeric during radiotherapy? Turmeric in diet is safe. Please consult your doctor before taking turmeric supplements when undergoing radiotherapy. 7. Are there any side effects or precautions to note about turmeric? 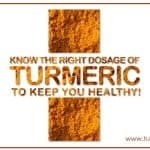 Turmeric, when taken in diet in moderate doses, is safe. However, there are certain precautions that you should be aware of and these have been discussed below in Precautions section. 8. Should turmeric be avoided in gout? Low doses of turmeric in diet can be used in gout but for a therapeutic purpose, it is preferable to take turmeric supplements. Please read Precautions section. 9. I am taking a blood thinner, can I take turmeric? Turmeric in small amounts in diet is safe but turmeric supplements should be avoided in case of bleeding/clotting disorder. It is advisable to discuss this with your doctor. Turmeric in diet can help prevent cancer. Curcumin, one of the active ingredients is poorly absorbed in the body and hence should be combined with black pepper and/or healthy fats for better absorption. For cancer we recommend taking turmeric supplements as conditions like cancer require high doses of curcumin for treatment. The dosage for the same is outlined in the article Turmeric / Curcumin Dosage for Cancer : A Scientific Plan. Consult your doctor before taking turmeric supplements for cancer. It is advisable to keep a gap of 3-4 hours between taking turmeric/curcumin supplements and other medicines since curcumin interferes with drug metabolism. Also avoid taking turmeric supplements on an empty stomach to avoid acid reflux. 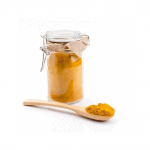 Golden Paste is a combination of turmeric with black pepper and healthy fats to ensure better absorption of turmeric. Start with low doses such as ¼-1/2 tsp a day for a week and if you observe no side effects increase the dose by gradually every week to reach the ideal dose of 2-3 tsp a day. 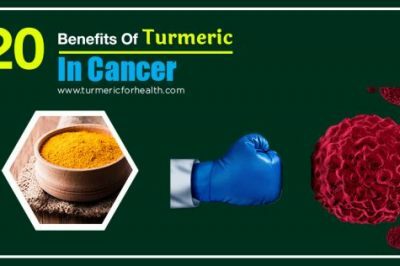 If not taking Golden Paste it is highly advised to include turmeric in regular cooking and diet to prevent and fight cancer. 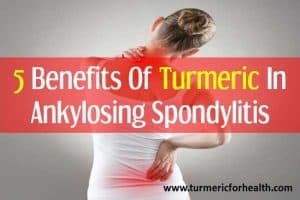 You can simply sprinkle it in soups, curries, rice dishes, smoothies or can refer to turmeric recipes. You can also consume ½ inch piece of fresh turmeric daily or juice it. 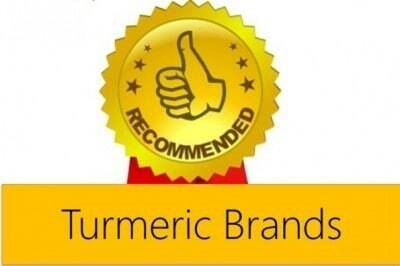 To identify good organic brands of turmeric please check our recommendations on best organic turmeric brands. 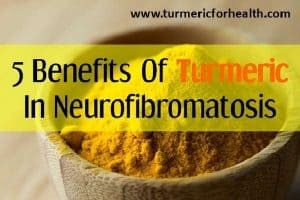 If suffering from a bleeding disorder, small doses of turmeric in diet are safe but it is best to consult a doctor before taking turmeric or turmeric supplements in this case. A general precaution is outlined that turmeric may have drug interactions with stomach acid reducing medication, antidepressants, blood sugar reducing drugs etc. Curcumin found in turmeric is known to interfere in drug metabolism. Hence it is advised not to take curcumin supplements concomitantly with any other medicine. If suffering from cancer or taking cancer therapy please consult a doctor before taking turmeric supplements. Lung cancer has been identified as the most common cancer since 1985 both in terms of mortality and incidence. Worldwide lung cancer is the largest contributor to cancer related deaths as well as new cancer diagnoses. Lifestyle changes and environmental changes are a must in prevention of lung cancer. Dietary changes and inclusion of turmeric in diet can help in cancer prevention. Either way I’m going to reduce my turmeric consumption. I have a relative who died from lung cancer who never smoked. I don’t want to take the risk until there is some clarity. I’ve read with great interest the content of this article and your website. I’ve been using it for few months Curcumin and I’m happy about it. I’m currently using a NovaSol formulation with high absorbability. Unfortunately I’m a smoker and came across with few worrying articles on Curcumin lung cancer promotion and potential risks in smokers (mentioned in this article too). What’s your view on the Curcumin safety especially for smokers? Do you have any additional references I can read about? Despite most studies on humans seem to demonstrate Curcumin safety it’s still bit worrying reading articles on lung cancer promotion. Thanks for your very much for your answer and help on this matter. Hi. Your concern is understandable. Curcumin has multiple pharmacological properties. It exerts dual actions at times. One such dual action is its prooxidant and antioxidant action. At higher concentrations, curcumin may act as a prooxidant agent and cause oxidative damage. And this seems to be the case for the studies that contradict the use of curcumin for lung cancer treatment. There are several studies (some of which are noted in the article) which show that curcumin counteracts damage caused by smoking. If you are taking curcumin at recommended dosages then there is no need to worry. You could consider consulting your doctor about this as well. Hope this helps. 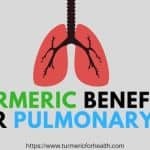 Hello, I am researching alternative to help cancer that has spread to the lungs.. did anything come of your discussion as to whether turmeric helps or hinders? 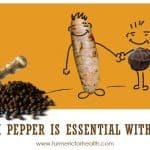 Hi Rachel, most of the research, except for one study, points out that turmeric and curcumin benefit in lung cancer. We are still to find out more about that one study but till then science shows that curcumin helps in lung cancer. Is there any update on this at all? Thx. As such turmeric may not have any effect. The compound called curcumen hassome effect on lung cancer according some research paper.Normally turmeric contains around 2-3 % of curcumin and it is anybody’s gues how much goes in to blood stream.ome type of turmeric viz lakadonga and pitambar are containing curcumin to the extent of 8 to 12 %. Another aspect is this curcumin dissolves in fat. So better dissolve in fat in one way or other and then consume. One more aspect : pepparin in pepper enables the obsorbtion capacity by 2000%. So add turmeric containing high % of curcumin add some fat in any form and also pepper and boil , so that system can obsorb more curcumin. Actually curcumin prevents blood flow to cancer cells and also helps in apoptosis where cancer cell kill themselves. Also you can ad turmeric in water with one or two drops of edible oil and boil and the steam can be inhaled . Then the respiration will be very comfortable and also good effect of curcumin can be felt by lungs. Hi Rachel. Iv been researching similar things. Have you been able to find out more about help or hinder of turmeric to lung cancer? Thanks. Thank you for sharing this study. This definitely deserves more attention and scrutiny. Any update on this at all? On one hand there’s great info given people with lung cancer hope, then there’s “THAT” study or few studies that totally invalidate the good. Its so frustrating. What about people who ALREADY HAVE lung cancer thats spread to other organs? 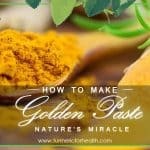 Please read about Turmeric golden paste it is very easy to make and i believe it is the best way to absorb the curcumin. Ruth you can order via Swanson’s Vitamins. One thing I would recommend to everyone is to combine Tumeric together with Turkey Tail mushrooms. I would recommend at least 4-6 grams a day of Turkey Tail. Lots of research on the internet. Just put Turkey Tail mushrooms to listen to a MedTed talk on the subject. My friend is stage IV NSC Lung cancer and since starting Turkey Tail a complete turn around (he is using it with Chemo – and has ZERO side effects from the Chemo). Use Milk Thistle to detox your live too along with lots of Vit D. So if you have a limited budget this should cost you less than 150 – 200 a month. One thing though a natural cures take a bit longer but they do work. And with cancer I have to say don’t waffle, throw the kitchen sink at it and try it all. You will not be worse off for it. And don’t believe there is not enough research to prove these things, lots of research if you really want to find it. Consuming mushrooms is as good as taking chemo course. Shiltake and maitake mushroom are good. In the current study, we demonstrate that curcumin unexpectedly promoted the progression of lung lesions from benign hyperplasias to ADs and carcinomas, similar to the known lung tumor promoter butylated hydroxytoluene (BHT) (34–36). Furthermore, we provide evidence that after 1 week of curcumin administration in the diet, lung tissue demonstrated enhanced levels of oxidative damage. This early pro-oxidant effect may account for the tumor-promoting effects of curcumin in lung tissue. Yes, thank you for sharing this. We do plan to analyze this study further in detail to be in a position to comment on this. It is not my intention to contradict what you said. I have gone thr’ a couple of research articles where it was proved that curcumin is effective, When you are giving in diet , pl remember curcumin is soluble in oil only. How much is obsorbed and how uch the cell has taken are questions.But i suggest you to give diet which is alkaline and if you manage the diet in such a way that serum ph is at 7.45 to 7.5 ,cancer cells may not die but they will be in dormant state. Of course all these secondry and primary is treatment of doctors. My father in law is suffering from lung cancer, i dont know which stage he is in now, can curcumin help him cure his lung cancer? Please suggest me what we should do, he is getting treatment for cancer now. Please consult the doctor before taking curcumin. Google Global Healing Center they have a liquid form of Turmeric that is fast absorbing. I have lung cancer too and have ordered it for myself. Best wishes to your father & you! MY UNCLE IS SUFFERING FROM LUNG CANCER 4TH STAGE AND DOCTORS SAY HE DOESNT HAVE MUCH TIME. 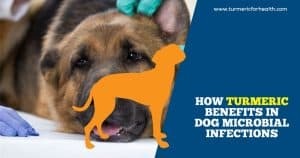 PLEASE SUGGEST ME WILL CURCUMIN HELP TO KEEP HIM CURE FOR A LONGER PERIOD? Soumyajit, sorry to hear about your uncle. Studies have indicated turmeric shows promise for cancer patients. There is little downside trying it. we would suggest you please discuss with your doc. before giving curcumin supplements. Sir my father is suffering from lungs cancer since 3 months back and we took treatment vellore cmc so far turmer is not decreasing help my father because we do not have money any more..thank you. Hi,I had surgery and chemo 2014,I start mixing tumeric,ginger,honey ,smartwater together and drinking like 36oz a day,but when I went through machine a few times and no cancer,I stopped and cancer came right back,now im back doing chemo,this time radiation. Discuss with your doctor before taking curcumin supplements. feed the idea that lung cancer should be dismissed as a cancer of one’s own choosing. It isn’t true. The “Oh, but they smoked” stigma may also be part of the reason that breast cancer — which kills a tiny fraction of the number of women that lung cancer does each year — gets such disproportionate financial and public support and has an entire, insurance-covered detection apparatus, which the far more destructive lung cancer does not. Please read. 2) Symptoms of lung cancer are shortness of breath, coughing up blood, etc. Well, those may be — they are certainly symptoms of something that needs to be checked out. But here’ is the ignorant part: Lung cancer is so destructive exactly because it usually shows NO symptoms before it has spread. Unlike the more rare breast cancer, there is no insurance-paid routine test for it. (Why would there be, since only smokers get it? See Above) It spreads first to the adrenal glands and the brain, and the first symptoms typically come from the secondary tumors in the latter. It kills so many people because most people get diagnosed at an advanced stage, because of the lack of symptoms. t symptoms are very often from those secondary tumors in the brain. The coughing up blood stuff in your post is just nonsense. 1) These are some of the most reliable sources talking about causes of lung cancer. All of them say smoking is leading cause of lung cancer (this is what I also mentioned). I am no expert here, but these site are referred across the globe and CDC is a govt site after all. I will take their word for it. Do you have any other source which says there is another leading cause of lung cancer, please let me know and I will check on that too. 2) The symptoms too are taken from these websites and thus I believe are correct. I have not mentioned when these symptoms occur, where you are right, it is good to mention that the occur at late stage. I will correct that. Thanks again for feedback and writing, it really helps making things better. Margaret, I just had to let you know that I enjoyed reading your post. You have mentioned everything that I have always questioned since finding out my husbands diagnosis of lung cancer in December. He HAD NO SYMPTOMS whatsoever. Well the ones they list anyway! 43 yr old very healthy male that never smoked a day in his life!! It upset me when I remember thinking that very same thing about smokers though. It has become a very big reality check in my life. This deadly disease can hit ANYONE!! When we started going to our first appointments, I would sit and watch him and I felt like it wasn’t happening, prob because he looked so strong and healthy and there was no symptoms of this deadly disease. The reason it was found? He used to lift weights and thought he had pulled a muscle on his side. Then after a few months of it not getting better we thought he may have fractured a rib. One day came where it hurt so bad and he wanted to go to Dr to get an x-ray. By then he thought it was sure to be a break. WRONG! There it was the spot in the lung! A few weeks later we were told that it had spread to a lymph node and yes the rib.The spot where he thought he had broken that rib. A few weeks after that, we found out it was small cell LC. Who would have thought!? I sure didn’t!! The symptoms listed every time I read about Lung Cancer was completely wrong! My husband also never had a cough,never spit up blood, never smoked, etc., etc., etc. Now that I proudly wear my “END THE STIGMA” band on my wrist, it amazes me as to why this type of routine check up isn’t done with a yearly physical!!!!! It also saddens me that this very silent killer is one of the least funded! Now that I see my husband battling such an enemy, I sure wish there was more!! It hits ANYBODY! I know for a fact if we hadn’t caught this by chance, we would have been seeing him having seizures or what not because by then I’m certain it would have already traveled to the brain. Luckily, his CT scan was clear. Somebody needs to change all those “symptoms” or add to them. Yes – the ladies are correct. As my father has just been diagnosed with stage 4 all he had was a dry cough — thought it was a cold and now the doctors are saying he’s uncurable etc. etc. it’s a strange silent killer smoking is just a small fraction of lung cancer my dad is surrounded by people including himself that I’ve never ever smoked a day in their life and they didn’t work around Harsh chemicals etc. this is an environmental problem that is also combined with chronic worrying. they find that people who suffer from fear of death, environmental pollution, and cancer history in the family are easy targets. Lung cancer also can be affected by diet. I am currently giving my dad smoothies with 3 different types of oil, hemp protein and will keep adding more to the smoothies everyday. Within 8 days even his life long eczema on his hands has disappeared. I can only imagine what it’s doing on the inside. I’m grateful for forms like this. Just know the more natural herbal and oil’s especially oils you can add into their daily life in addition to chemo and radiation the better. You mentioned in your statement that you give 3 different types of oil. Kindly can you please mention what the oils are? #1. Virgin Coconut Oil ( if you have a health food store in your town – they will most likely carry Liquid Coconut Oil that stays a liquid – verses solidifying when it becomes cool – for example when used in a cold smoothie.) If not – just heat in microwave for 20 seconds. And cook with it replacing butter or margarine or any other oils used in cooking. Can be heated to any temp. Some people have it in their coffee in the morning. Dad consumed 500 mls before any radiation and treatments started. It is a natural anti-immortality and also keep infection away. The Cancer Clinic also said even if a person uses it and month wash – it will soak into the gums and benefit the person. 2 tablespoons minimum / day. Helps protect and fuel the brain. Gives energy, builds the immune system, keeps infections / virus away. Start with half a table spoon for the first week and then take 1-2 tablespoons daily. All these oils in a smoothy / milk shake can not be tasted at all. Amazing really. Some people use Udo’s oil for their salad dressing. My x husband was diagnosed with small cell in Feb 2015. Last month it spread to other lung. And now one in his lympth node in his neck. Not spread anywhere else that we know. Where can we get circumon in Wisconsin, and howuch can we give him.?? I agree. Lose the cigarette graphic and update the cuses and “symptoms” of lung cancer. This section of the article causes total loss of credibility. while the benefits of turmeric are not as proved as that of normal cancer drugs, studies do show it has potential. I feel big pharma firms do not want to promote research on herbs as this will wipe out their own market of expensive drugs. 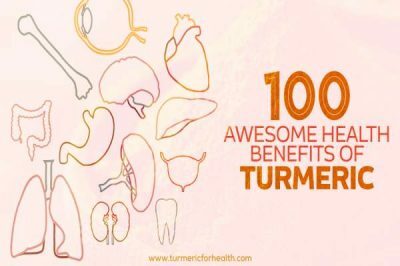 Turmeric, ginger and countless other herbs have amazing benefits but alas few scientific research to prove them.